The U.S. Senate passed a resolution rebuking two Democrat Senators for their critical questioning of a judicial nominee's Knights of Columbus membership. Senators approved without objection on Wednesday Senate Resolution 19, which was introduced by Republican Senator Ben Sasse of Nebraska. More specifically, the resolution says that Article VI, clause 3, was violated, which reads, "no religious Test shall ever be required as a Qualification to any Office or public Trust under the United States." “… the Knights have a proud tradition of standing against the forces of prejudice and oppression, such as the Ku Klux Klan and Nazi Germany,” continued S.R. 19. 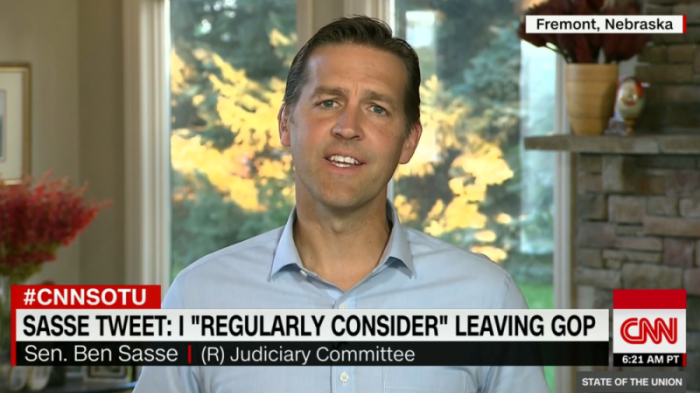 In a Wednesday evening speech on the Senate floor, Sen. Sasse explained that he introduced the resolution on behalf of fellow Nebraskan Brian Buescher, who was nominated by President Donald Trump to be the U.S. District Judge for the District of Nebraska. Senators Kamala Harris of California and Mazie K. Hirono of Hawaii sent him written questions expressing concern over Buescher’s membership with the Knights due to the Catholic organization’s socially conservative views. Democrat Rep. Tulsi Gabbard of Hawaii, who is running for president, also denounced the treatment of Buescher in an opinion column published earlier this month by The Hill. “While I oppose the nomination of Brian Buescher to the U.S. District Court in Nebraska, I stand strongly against those who are fomenting religious bigotry, citing as disqualifiers Buescher’s Catholicism and his affiliation with the Knights of Columbus,” wrote Gabbard.